The Silhouette Handbook is the complete guide to everything Silhouette. With over 300 pages, this digital reference is full of helpful information on Silhouette machines, materials, software, and more. 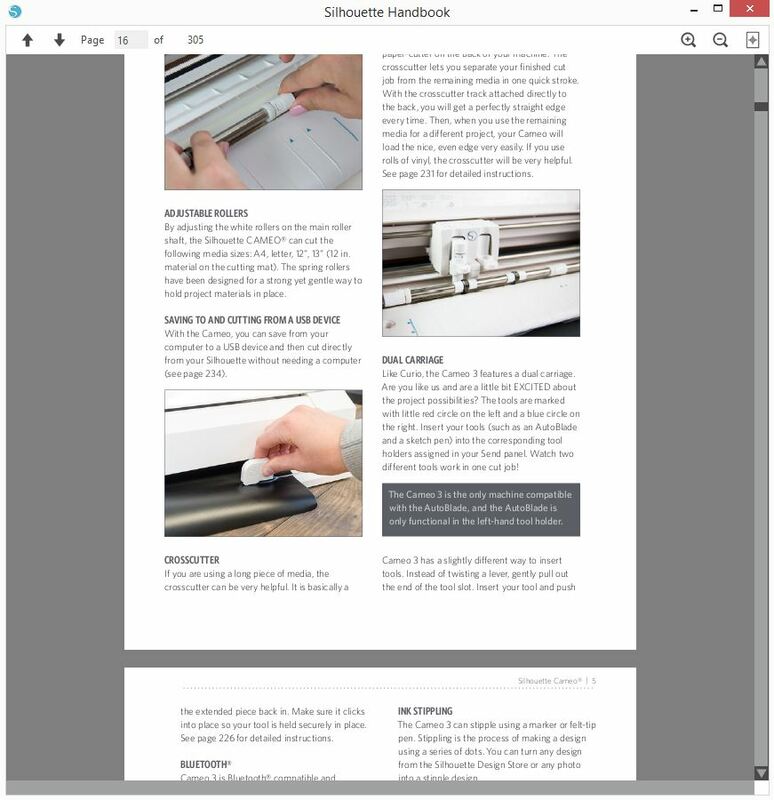 The Handbook is perfect for new customers, or for those who want a convenient one-stop guide and walk-through for all of Silhouette offerings and software features. 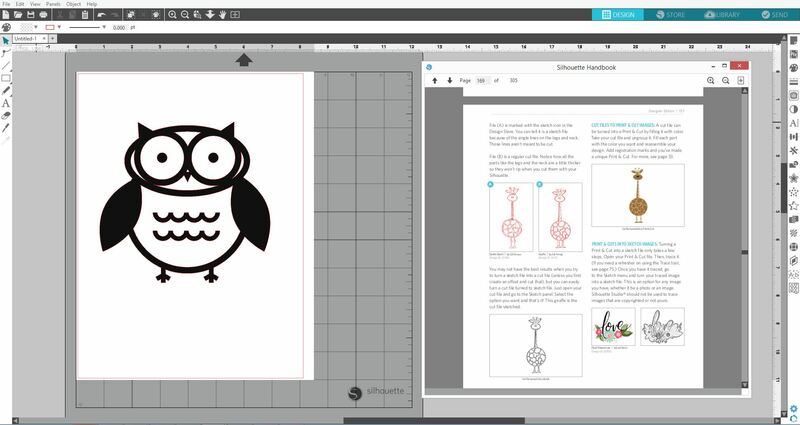 The handbook can be downloaded and viewed directly in Silhouette Studio®, so you can easily follow along while designing and creating your Silhouette projects. Since the handbook is a part of your Library, you’ll always have access to the latest information. Silhouette Handbook is offered as a specially formatted eBook, which is downloaded and accessed through the Silhouette Studio® software*. Since the Silhouette Handbook is synced in your Silhouette Studio® Cloud library, any new updates are automatically pushed to you so you always have the latest up-to-date information. The Silhouette Handbook is not a manual. Free manuals for various Silhouette machines are available here, and free software manuals can always be found in the ‘Help’ menu of our various software programs. The Silhouette Handbook is currently offered in the following languages: English, French, German, Portuguese, and Spanish. You can purchase Silhouette Handbook directly on your account through the Silhouette Design Store. Once purchased, your download will be sent directly to your Silhouette Studio®.